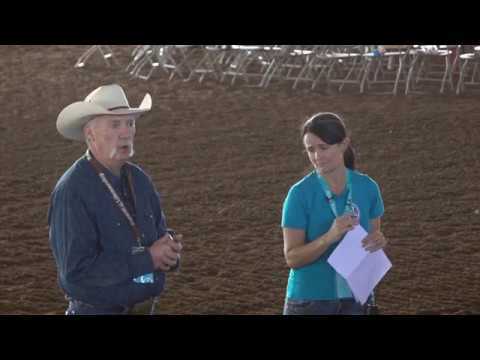 In their opening presentation at the 2017 Natural Lifemanship Conference, Natural Lifemanship co-founders, Tim and Bettina Jobe, give a basic overview of Natural Lifemanship principles accompanied by an equine demonstration. Natural Lifemanship teaches trauma-informed care and principles for building connected relationships that help to heal and reorganize the brain. This course covers a Natural Lifemanship training with a human services agency that provides services to adults with disabilities. In this brief, 45 second clip, Tim and Bettina Jobe, founders of Natural Lifemanship, comically demonstrate what Natural Lifemanship is truly about. View two sessions that were part of the 2017 Natural Lifemanship Conference. In these videos, NL Trainer, Shannon Knapp, presents on Mindfulness Practices to Build Connection. Following the presentation, a small group gathers at an experiential breakout session to learn and experience how these practices may look in session with a horse.